The celebration of Christopher Columbus as the discoverer of America has received plenty of criticism from Native Americans and now there is a proposal in Los Angeles to establish an "Indigenous Peoples' Day." When it comes to holidays, the U.S. has a rich collection of them: from the Fourth of July to Labor Day to Martin Luther King Day. And if Los Angeles City Councilman Mitch O'Farrell has his way, L.A. will add yet another holiday to its lineup. "...to recognize indigenous peoples across the United States for all of the suffering that has occurred over the centuries," O'Farrell said. O'Farrell's proposal isn't a new idea. 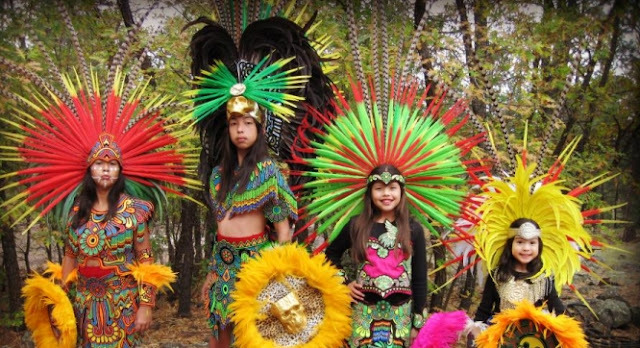 Several other cities across the country already commemorate the day, but in many of those cities, "Indigenous Peoples' Day" has replaced Columbus Day - something that concerns L.A.'s Italian American community. O'Farrell points out that his proposal does not include the elimination of Columbus Day, but supporters of "Indigenous Peoples' Day" said it makes sense to just get rid of a holiday that celebrates such a controversial man. "Since 1937, the United States has celebrated Columbus Day, and that is seen as a real insult to Native American people," he said. The Arts, Parks and River committee approved O'Farrell's motion, and L.A.'s Human Relations Commission and other agencies will now take the next two months to look into the proposed new holiday. A report is due back to council in two months. Responses to "The City of Los Angeles could replace Columbus Day with Indigenous Peoples' Day"
Indigenous Peoples' Day is different than Columbus Day. Columbus Day celebrates the false birth of America. The American Dream also was born and I believe that dream is all encompassing but so far has excluded indigenous people. This failure to include has crippled and will continue to cripple the United States of America. A 'birth' day for truth not only of accepting and asking for forgiveness for all, ALL the wrongdoing and the results of wrongdoing. It is a 'birth' of learning the way to live in Peace with Mother Earth. This could bring healing. I am hopeful.